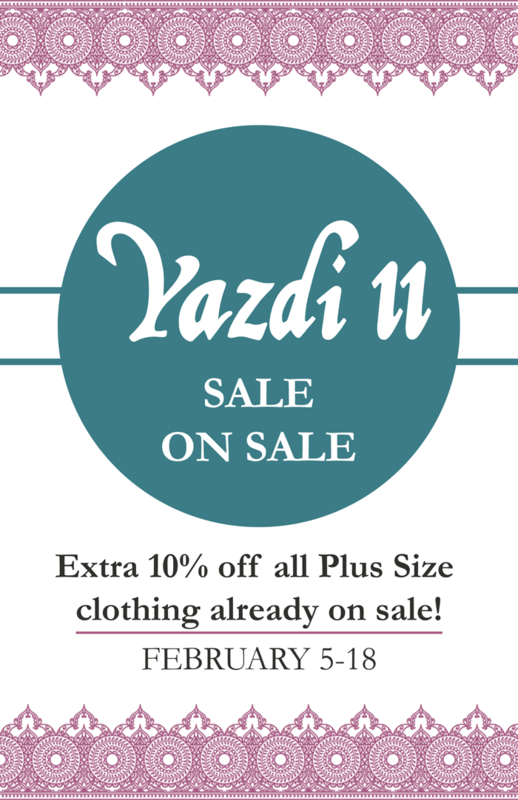 Yazdi II is having a sale on sale items! 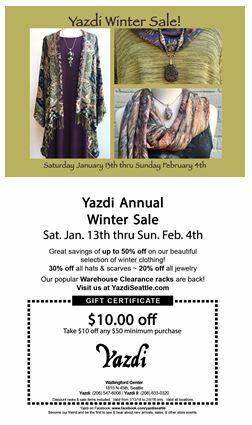 Annual Winter Sale Begins Saturday, Jan. 13th. Would you like a look at our latest email / lookbook? In October we sent out a fall fashion email and announced out newly renovated website which has a modest ability to sell styles and gift certificates now. Click here if you would like to see it. 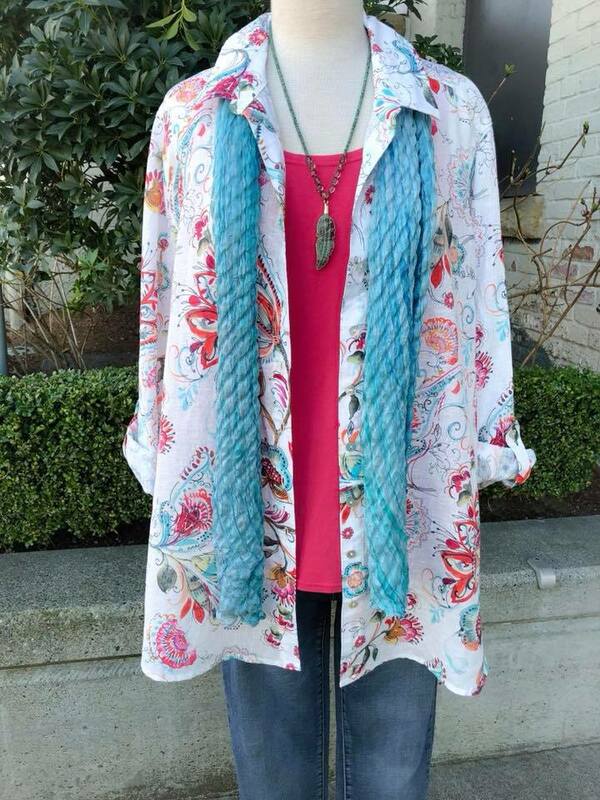 As we are new to online selling, we are starting out slowly, with a somewhat limited inventory in Missy, Plus, and Yazdi label clothing, as well as offering Gift Certificates. We are working hard to expand the offerings. 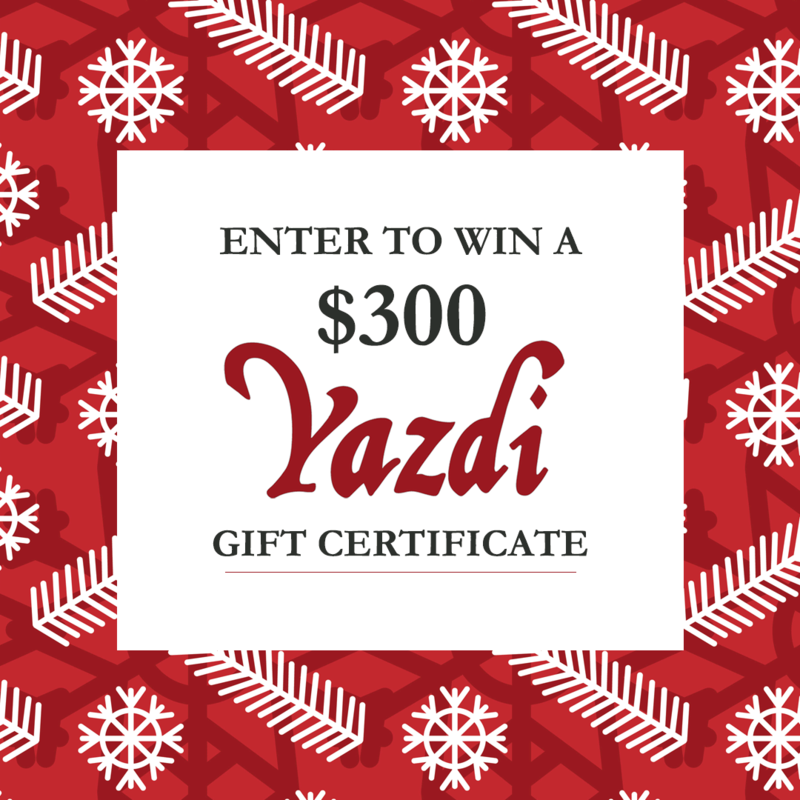 So bear with us as we build up the site with our best selling, unique Yazdi pieces! Jewelry and scarves will eventually make it onto the site too as we move ever forward, Goddess Willing. Meanwhile, we have been having a great Fall with a fabulous, better than ever selection of merchandise for the season. Lots of new lines to see, all offering an opportunity to put together wonderful outfits that satisfy the soul. 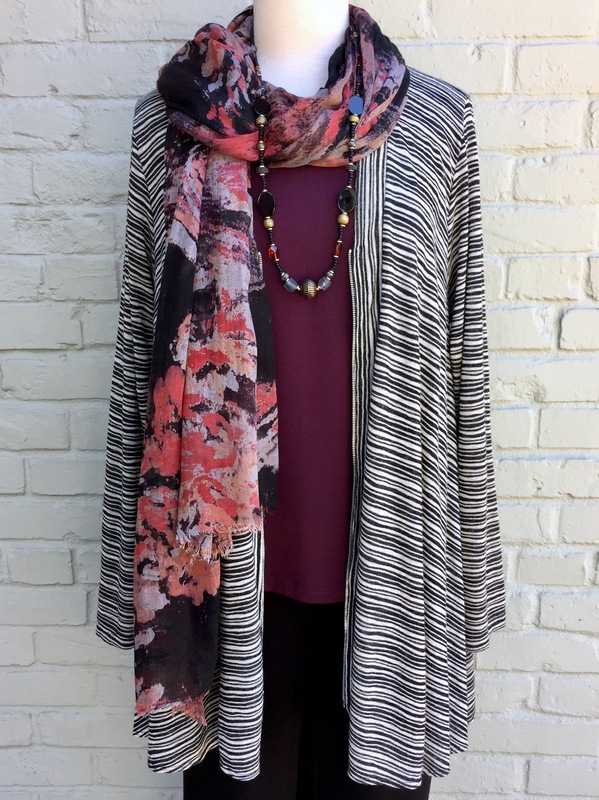 Shown to the right is the Comfy "Zip Sweater" in a stripe over the Comfy "Crew Tank" in plum with the Asian Eye "Lawrence" scarf in black/camel. It is available in Missy & Plus.